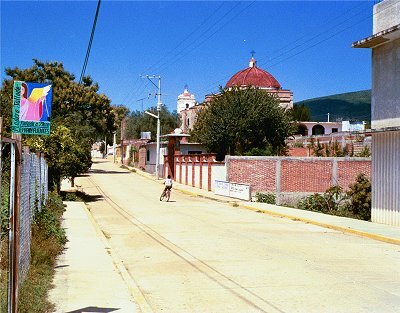 Located 23 kilometers south of the city of Oaxaca off of hwy 175. The turnoff is located at km 23.5. San Martín Tilcajete side street where several woodworking shops are located San Martin Tilcajete is known for its artisans that produce the fanciful wood carvings called Alejibres. 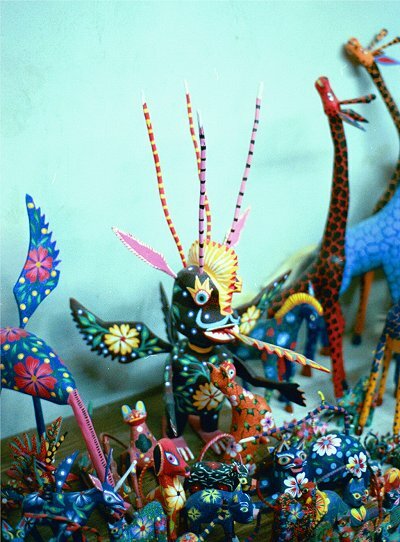 Azucena Zapoteca Located on highway 175 at the entrance to San Martín Tilcajete. See a review by Alvin Starkman. 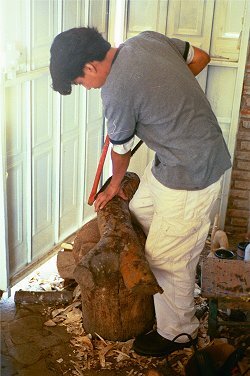 Artist Efrain Fuentes Santiago begins by cutting a copal log. 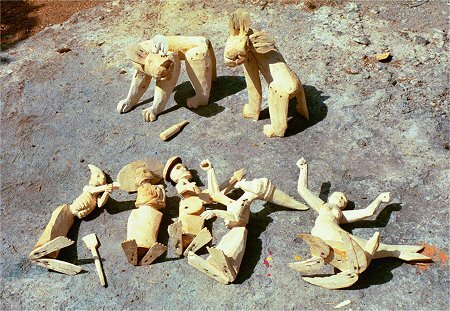 The copal wood is dried in the sun after carving. 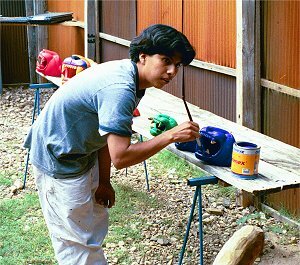 Efrain Fuentes Santiago painting his carvings.